Quick trip to southern Turkey to see Ben--fun! 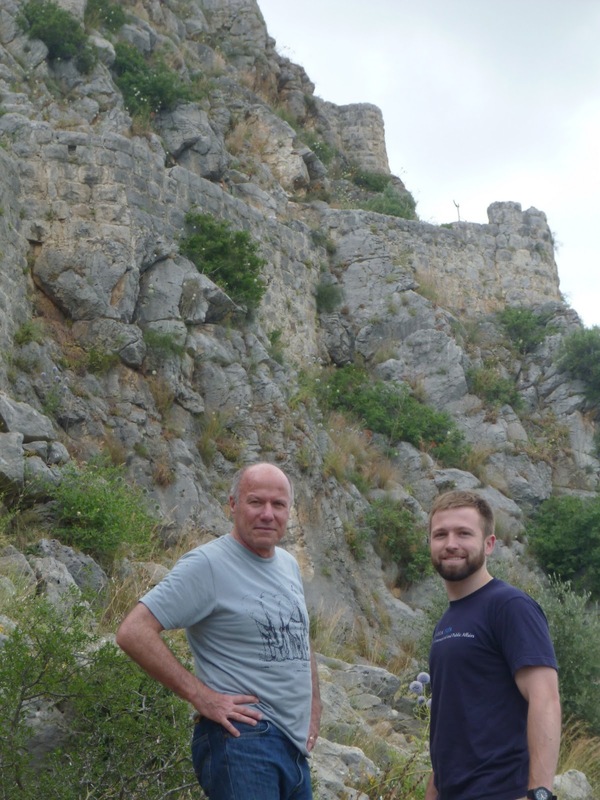 We went to the so-called Snake Castle, a 40 minute drive outside of the city. It was built by the Armenians in the 12th century (they "left") and used by the Crusaders. A huge whip snake even crossed our path as we drove in. 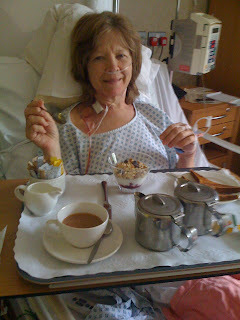 There wasn't really much of a path and we ended up clambering over rocks, K a mere 10 days following spine surgery, scarf covering her dramatic 4" incision. And back in the town of Adana, with its beautiful mosque of fairly recent construction, and an ancient Roman-built bridge with the Adana Hilton, where Ben stays when he is in the city, in the background. It all began in January with a winging scapula. “Winging scapula?” you ask, no doubt with polite, lukewarm interest. I'm going to tell you anyway. It’s when the shoulder blade sticks out, due to trauma or general mystery. I was also experiencing weakness in my right arm and limited range of motion. To make a long story short, after 39 emails I was off on the insurance company’s dime on the 2 ½ hour flight to Dubai, twice, the first time to see and orthopedist and the second to have some nerve testing done. In between the two trips, one of the scariest experiences of my life: an hour and a half in an aging MRI machine in Baku, head pinned in a vice-like frame, subject to a deafening series of bizarre noises and vibrating thumps, punctuated, deceptively, by periods of silence, before a TICK TICK TICK TICK heralded a new round of ear-splitting torture. But the MRI film was what was needed to diagnose my condition: disc prolapse with degenerative osteophytes, and the proposed cure: surgery. Thus began a long but hurried quest for information. Long because there was SO much to understand. Hurried because we were scheduled to leave Baku in two months for a summer of travel: Italy, France, New York, Vermont, California, Washington and New York again, before our move to Penang. I am so very grateful for the wealth of information accessible on the internet, for kind souls in an online forum willing to share their experience and information, for the advancements in medicine that have made “minimally invasive” spine surgery possible, for a couple of second opinions from surgeons or spine clinics, for the fact that I had hardly any pain, unlike many who suffer disk problems, and for what turned out to be really good health insurance. Questions to explore: Was surgery the only answer? Could I afford to wait and see? If surgery, what are the different options? What about my osteoporosis?How long is recovery? Where could it be done? When I learned that I risked permanent nerve damage or even paralysis, I decided to go for it. I learned that surgical procedures widely used in Europe are not available in the US, due to delays in FDA trials and approval of a new artificial disk, mainly as a result of litigation brought against the makers of an older artificial disk against the maker of the newer, superior, one. Profit trumping people's health. So the disk of choice, the titanium M-6, with its six-way action and no need for fusion, is made in California but not available there. A whole group of US spine surgeons operate out of Cyprus, using that disk and others. It is also available in at least two other spine clinics in Europe, in England and Spain. I was able to secure a consultation with a highly recommended neurosurgeon in England, and to plan a surgery date for the following week, to replace not one but two disks. Plenty of nail biting and nagging emails followed, and on Friday afternoon I got the word that the insurance company had approved the procedure. Sunday I was on a plane for London, and Tom was able to get compassionate leave from work to follow me a day later. Wednesday was the big day. I hear there were seven people in “theatre” with me during the two-hour surgery, which went very well. Actually EVERYTHING has gone very well. I write this 12 days post-op, back to 80%+ energy level, and experiencing a dramatic improvement in range of motion in my arm. We were even able to go ahead with a weekend trip to Adana, Turkey 9-11 days post-op to see Ben, who is working in the area (will post on that separately). 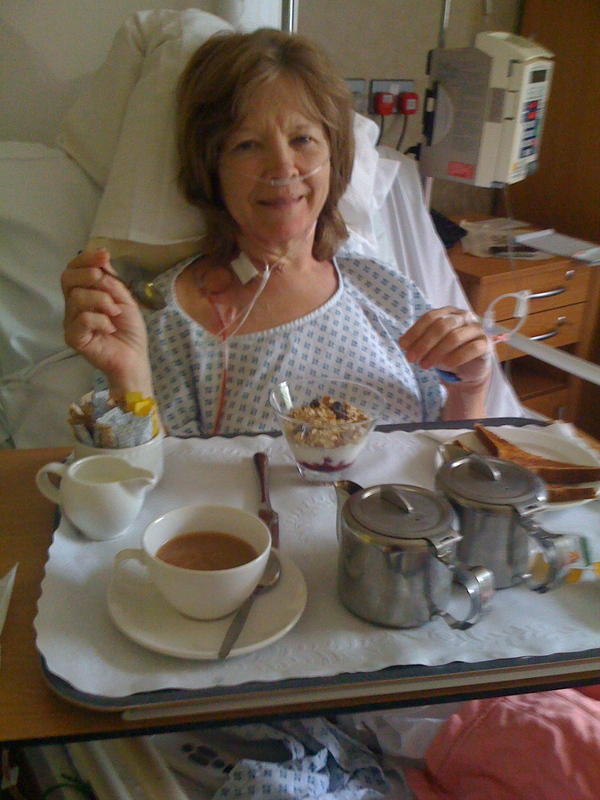 I had two nights in the UK private hospital, which, aside from the surgery pain was very good, especially the food. For breakfast, yogurt with forest fruits and muesli, for lunch avocado with shrimp salad. I had only about 12 hours of horrible pain, through which a morphine pump was made available. The morphine fog and itchiness got old fast and I had it removed but then had one more shot of the drug, which was brought by a nurse in a syringe and squeezed into my mouth, after we’d had a brief discussion on what it tastes like—Campari, I decided. A morphine shooter cocktail before shrimp and avocado. Can you imagine carrying around morphine in a syringe in the US? In the afternoon and evening I was offered tea. The place was actually quiet. So civilized. Three days post op we had an unexpected and wonderful treat; Ben was returning to work in Istanbul, flying in from DC, with a 7 hour layover in London. 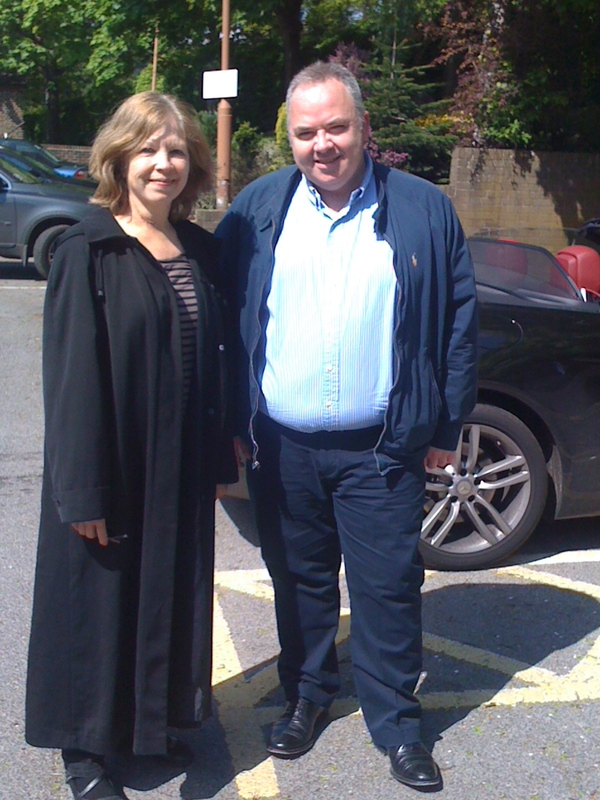 We were able to arrange to meet in Winchester, about an hour by bus for him and 30 minutes for us. We had about two hours together, over lunch in at atmospheric pub. T and I returned the next day to Baku. Here I am with neurosurgeon Chris Dare. And yes, he drives a flashy sports car (in background).